This is one of those posts I planned on getting up a while ago. With a French liqueur it was going to be my tie in to the Tour de France. Seeing as how the race ended last weekend that clearly didn’t happen! We first saw St. Germain on a cocktail menu at the tapas restaurant we went to for Ewan’s birthday last year and were intrigued. It took us some time, but we finally got a bottle. After some research I found the Blueberry Smash. This is our take on it. The timing was perfect since we just picked two gallons of blueberries! St. Germain is a French elderflower liqueur. The flavor is absolutely wonderful for the summer with hints of grapefruit, pear and peach. It is really a unique fruity flavor, something you can’t quite put your finger on. It is traditionally used as an aperitif, something that gets you ready to digest a meal. Take some champagne, St. Germain and sparkling water with a twist of lemon and you are set. Something to sip slowly while enjoying life. The French do know how to relax and enjoy a good meal after all! St. Germain pairs absolutely wonderful with citrus so I used both lemon and lime slices. 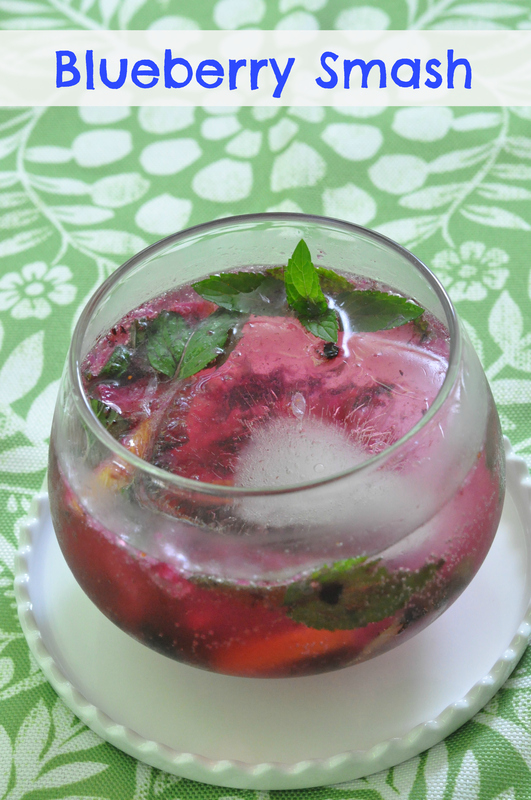 Add some blueberries and mint, smash it all together and it is just wonderful. 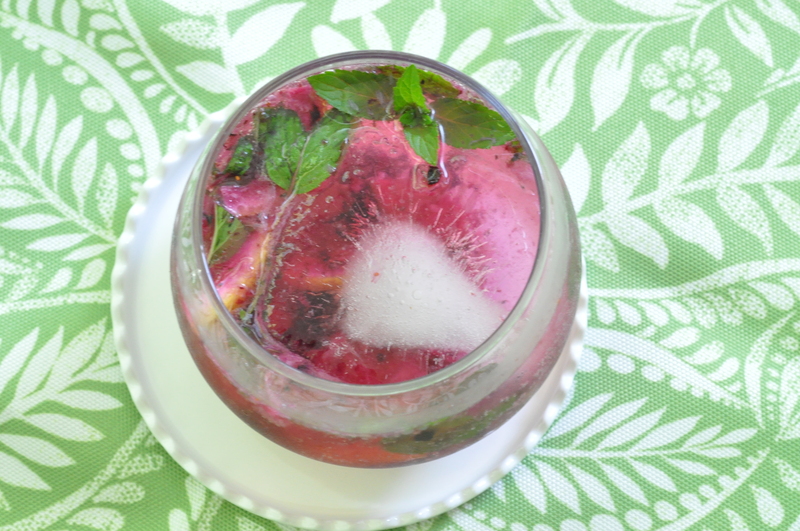 A light and fruity drink for a relaxing summer’s day. Sit back, relax and enjoy life a little! I have some research to do…can I grow elderflower here in the South to make my own elderflower syrup and liqueur?? 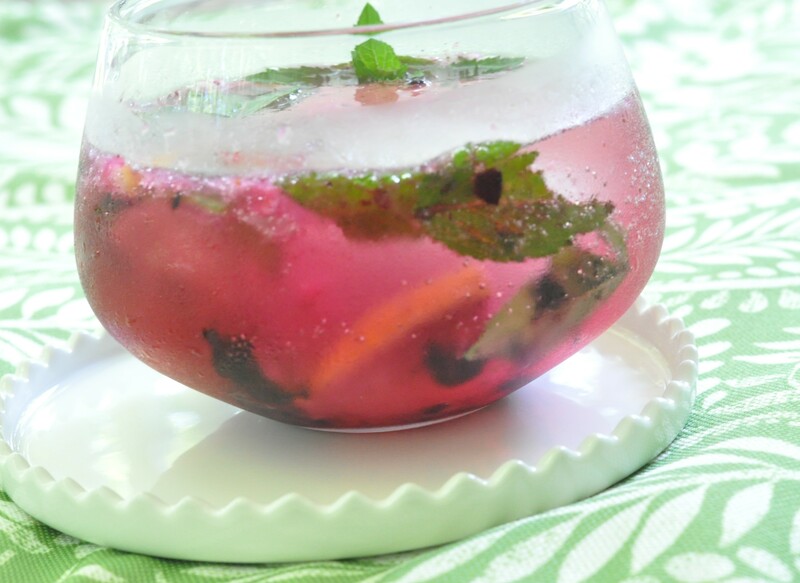 Muddle the blueberries, lemon and lime slices and mint in the bottom of a glass. Pour in the vodka and St. Germain, stir and add ice. This entry was posted in Beverages and tagged Cocktail, lemon, lime, St. Germain, vodka on August 1, 2014 by Gretchen. This drink is seriously gorgeous. What a refreshing, delicious cocktail…. It is wonderful in the summer. Thanks! I love the flavors and the beautiful hue. Glad Ewin had a birthday so you could discover this cocktail! 🙂 I see St. German in mixed drinks at a lot of New Mexican brunch and taco digs around town. This could be cool with a splash of elder flower syrup, too, Gretchen. Cheers to Friday! It would be fabulous for brunch. Besides, brunch is my favorite meal! Hope you’re enjoying your weekend. Try one, I’m sure you will enjoy it! We really should look into hosting a virtual cocktail party! Enjoy the rest of the weekend. I’ll take a few of those Gretchen 🙂 Cheers!!! I’ll save a few for you! This looks delicious. The perfect summer drink. Perfect indeed! Thanks for stopping by. I pinned your recipe for next week. Somehow I think blueberries would have been much better than the mechanic, cheaper too! Just have a different cocktail and try next week for the blueberries! Good to know about the bush, thank you! I have learnt something new from you today: “St. Germain, a French elderflower liqueur” I am not up to date on liqueurs and so this one is totally new to me. When I hear aperitif I know it will always taste very nice and special. You have also learnt to relax and enjoy a good meal like the French. The photos look really good so the cocktail must taste good too. Thanks so much for sharing. Oh by the way I’ve just found it in my local liqueur store: this is how they describe it “Pale golden color. Vibrant aromas of elderflower and lychee follow through on a soft, supple entry to a fruity, moderately sweet medium-to-full body with tangy tropical fruit sweetness and great depth” and it goes for a staggering $50. Maybe one of these days when my pockets are full, I shall take a plunge! It is a bit pricy, I can get it for $30US. All the more reason to look into growing my own elder flowers and making my own! Oh you mean one can grow Elderflower and make some homemade liqueur? That sounds interesting and exciting. I’ve never thought of making my own wine or liqueur. I’ve seen a few ‘make your own’ wine shops and Franchises here but I’ve never paid much attention. Enjoy the weekend! I saw a post on another blog for elderflower syrup so figured I may have to give it a try. Once you make a syrup just add alcohol!! Thanks, it was quite refreshing and is a new favorite! I will totally make this, it looks so good. St.germain is my favorite thing to drink. I put it in homemade whip cream! I love liqueurs in whipped cream too! I also bake with them, haven’t decided what to put the St. Germain in yet. Perhaps a fruit tart….